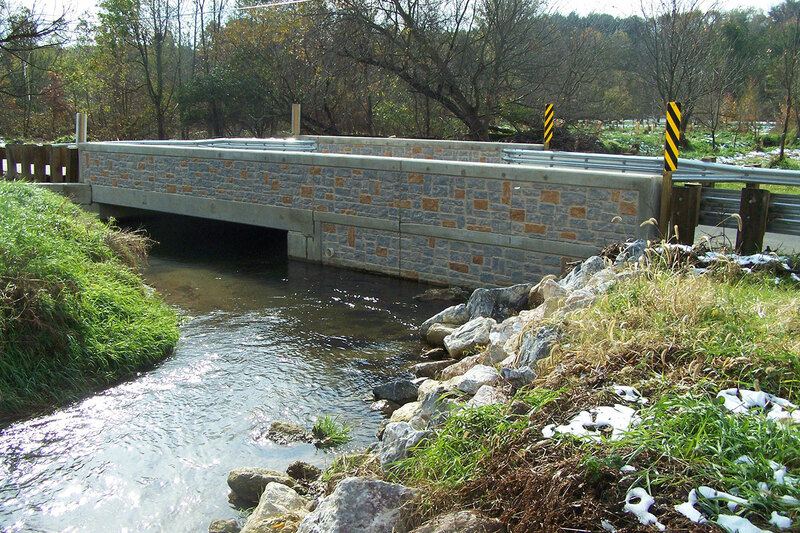 When two cast-in-place concrete T-beam bridges in the picturesque agricultural area of northern Baltimore County – Eagle Mill Bridge and Harris Mill Bridge – became badly deteriorated, Century performed the design tasks necessary for their replacement, minimizing impact to the area around them while maintaining their aesthetic appeal. 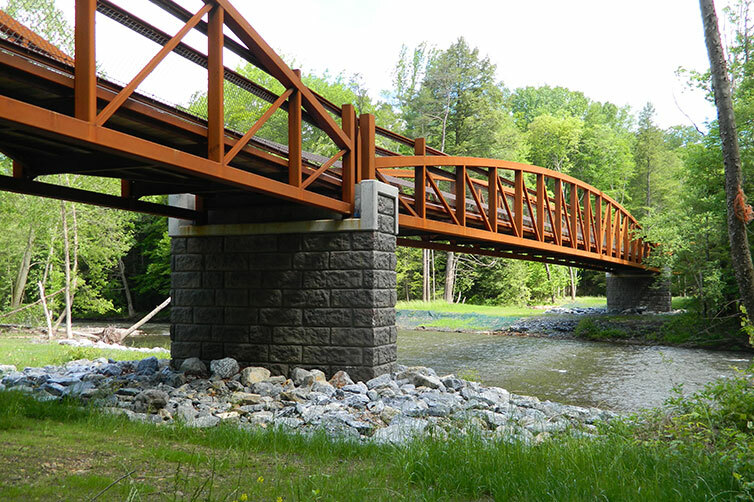 Eagle Mill Bridge over Little Falls was a register-eligible historic structure. Before anything else, Century prepared the documentation required to document the need for its replacement and receive concurrence from the Maryland Historic Trust. 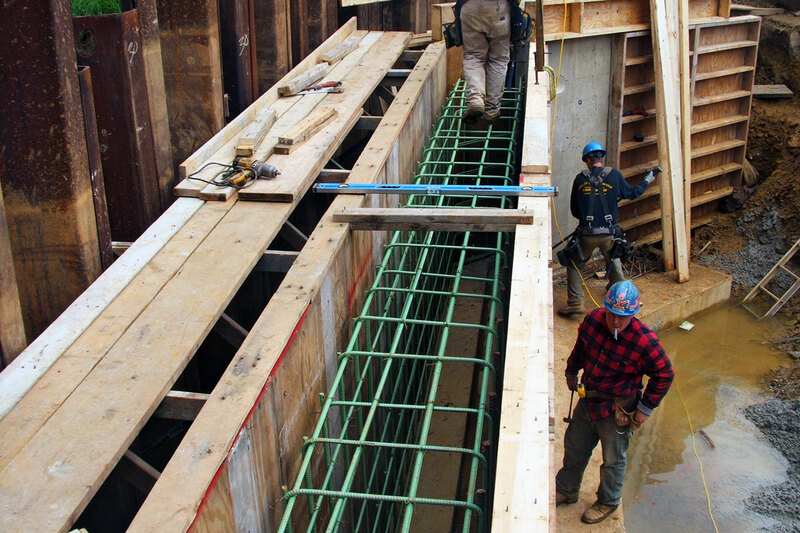 To decrease construction costs and to minimize the time required to obtain permits, Century developed hydraulically in-kind replacement structures that reduce flood plain impacts. 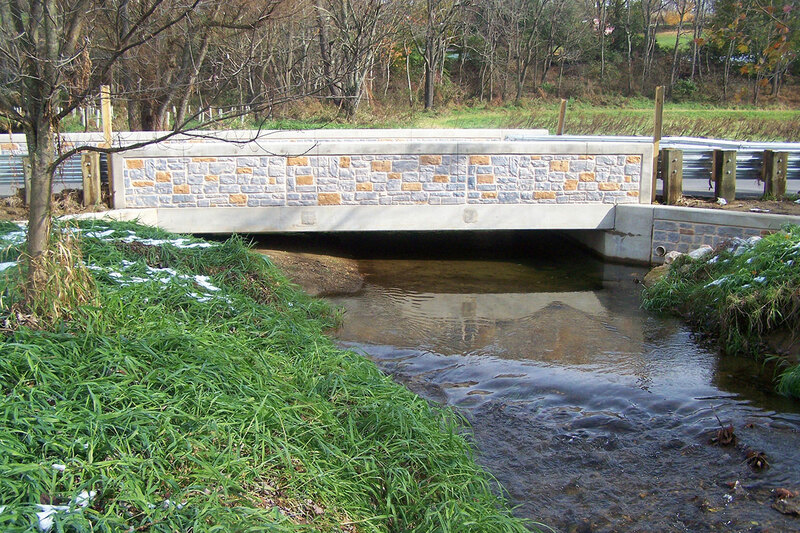 Eagle Mill Road Bridge was founded on spread footings set on rock, while Harris Mill Bridge, which is over Ebaugh’s Creek, was founded on pile supported foundations to address scour concerns. 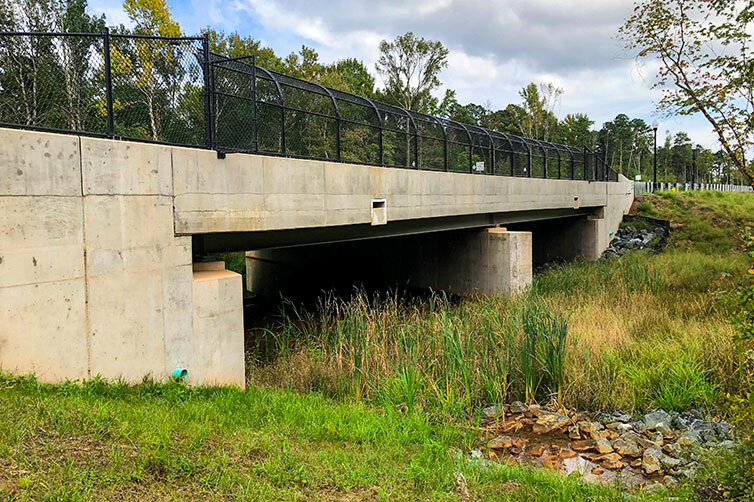 Bridge widths were developed that met AASHTO and FHWA criteria, but minimal improvements were made to the approach roadways. 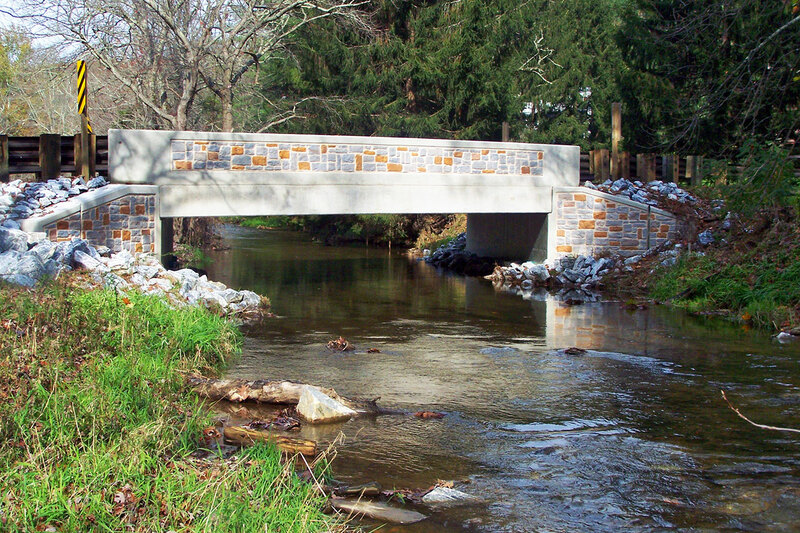 This kept speeds down on Eagle Mill Road and Harris Mill Road and discouraged their use for cut-through traffic.